Carmichael, Sidney A., "Online Curriculum for Evangelism Training for Adults with Special Needs" (2015). Senior Honors Theses. 548. 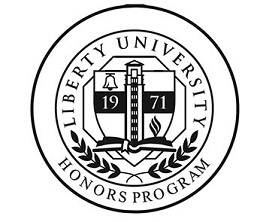 The purpose of this project is to address the discrepancy between Liberty University’s mission to train all individuals to be Champions for Christ and the lack of access to higher education for individuals with disabilities. My role in this project will be to come alongside the School of Education (SOE) in helping to write the curriculum, create the activities and manage the creation of a new online program that teaches Bible foundations and evangelism strategy. This project will be developed after consulting literature of best practices for teaching adults with disabilities using online technology. The outcome of this project has the potential to be wide reaching for people with various disabilities at various cognitive levels. This course can impact many people with the Good News of Jesus Christ by giving individuals essential knowledge about the Bible and ways in which to share their faith. In addition, since it is an online program, it is easily assessable all over the country and world. This course will empower individuals to make a difference for the Kingdom of God.